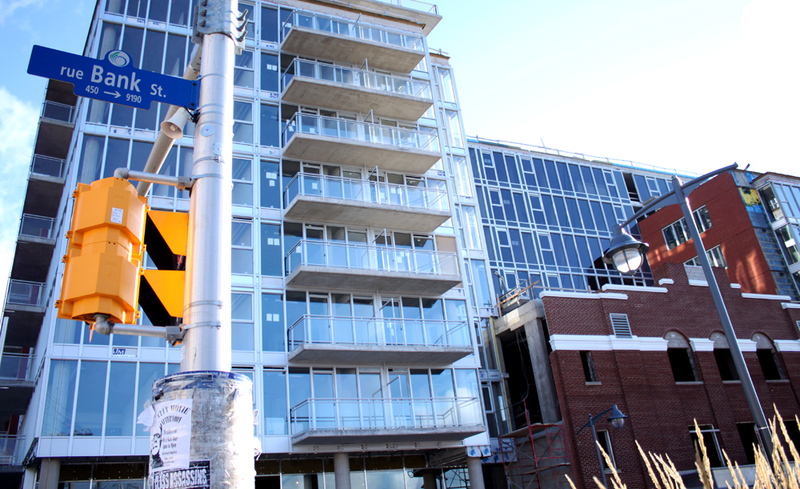 Condo developments are springing up seemingly everywhere there is space, scattered across all communities in Ottawa and providing an alternative to traditional home ownership. There are two main types of condo properties, low-rise terrace homes and medium/high-rise apartment buildings, of which terrace homes tend to be more affordable due to the construction and upkeep costs of a high-rise building . There are pros and cons to both types, however condominiums in general have many benefits which traditional housing choices often do not have. Of course, the process of buying a condominium unit is no less involved than that of buying a house– there are even potentially more factors to consider when purchasing a condo— but the long-term benefits can greatly outweigh the short-term hassle, especially for first-time Ottawa home buyers. So what makes condos in the Ottawa-Gatineau area so appealing to first-time buyers? Firstly, the cost. Although prices of condos vary greatly even within developments, the lower end of the price range is often cheaper than a traditional house or townhouse. Secondly, maintenance is much easier– lawn mowing, snow clearance, and general wear-and-tear maintenance are usually paid for by the condo owners (covered under monthly condominium fees, which may also include other services), who are then not responsible for doing these services themselves. Thirdly, access to appliances such as washing machines and dryers are usually provided by the development (sometimes even within the apartment or terrace home) . This reduces both moving costs and the cost of buying one’s own appliances and installing them. Lastly, Ottawa condominiums are becoming synonymous with convenience, and for those groups of people to whom convenience is important, condos are the natural first choice of home. In Ottawa, ownership of non-traditional housing has been on the rise for many years. Even in 2004, 9% of owner-occupied homes were condominiums and 18% were townhouses– making Ottawa the “undisputed townhouse capital of Canada” . The 2004 study concluded that Ottawans were eager to embrace these less-traditional, more dense types of housing . In 2011, there is a continuing trend among first-time homebuyers who previously rented to buy townhouses or condos due to the lower mortgage rates. As well, it has been noticed that new empty-nesters who downsize from their larger, higher-maintenance family homes are now choosing townhouses and condos as their replacements, and this trend is predicted to continue into the foreseeable future . Also, construction of condominiums in Gatineau and Hull have been encouraged by the municipal government to stimulate development , and although prices are only slightly cheaper than those in Ottawa, the Quebec side of the river remains an appealing prospect for those looking to purchase a condo for themselves. There are many very promising condominium developments within Ottawa, however, here are three which stood out among the others as possibly the best developments to look into in the city: Central by Urban Capital, Fusion by Claridge Condos, and One3One by Domicile. All offer affordable options and decent amenities for first-time home buyers, as well as LEED(tm) environmental standards candidateship– green housing is becoming standard for Ottawa builders, and popular among homeowners, who can then save money on their utilities in the long run. 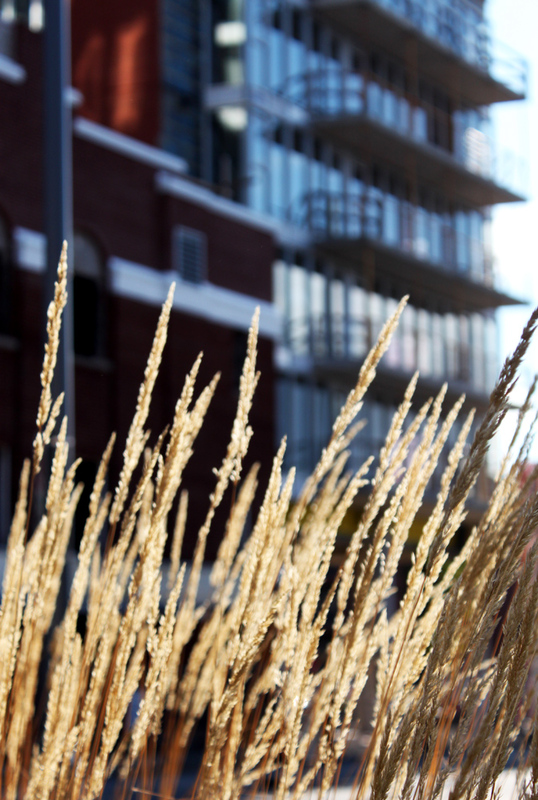 Central is currently being built by Urban Capital and Tamarack, and is made up of three distinct phases. It is located on the corner of Bank St. and Gladstone Avenue, in the middle of Centretown’s attractions, and is walking distance from downtown. It is also conveniently located near multiple bus routes, grocery stores, boutiques, restaurants/pubs, and coffee shops– and the development will incorporate retail stores and a grocery store of its own when it is complete. Bus route #7, which runs right in front of the development, is a 10-minute ride away from Carleton University, making this a great choice for graduate students or professors looking for their first home. Prices after opening day spanned the range from $196,900 to $609,900 , with the lower end of the range an affordable choice for those who are looking for a cheaper alternative to traditional housing. Amenities of the complex will include: shared spaces (lounge, exercise room, outdoor pool, fireplace, barbecue, etc. ); pre-wired phone, cable, and internet; and Energy-Star certified appliances (including a stacked washer/dryer). Central is also registered with the Canada Green Building Council as a LEED(tm) Silver Building, meaning it will meet strict standards for environment sustainability in its construction process and life-cycle usage. Some of the implementations of this standard will include an advanced recycling system, environmentally sustainable hardwood flooring, and a hybrid car-share program. 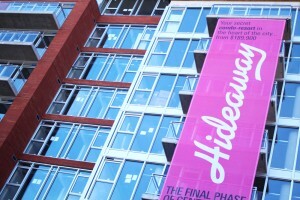 For more information, see http://www.centralcondominiums.com or http://www.hideawayatcentral.ca . Fusion is also currently under construction, and is one part of a greater project in the LeBreton Flats area by Claridge Condos. It is located in the south corner of the Flats, and is within walking distance from the War Museum, Westboro, Chinatown, Little Italy, and of course, any events taking place in the open space in the area. It is right on the Transitway, and is also hooked in to the bike pathway system which leads all over the city. Prices range from $252,000 to $700,000 , which is on the higher end for a condo development, but the cheapest condos are still less than the cost of a house in many parts of Ottawa. 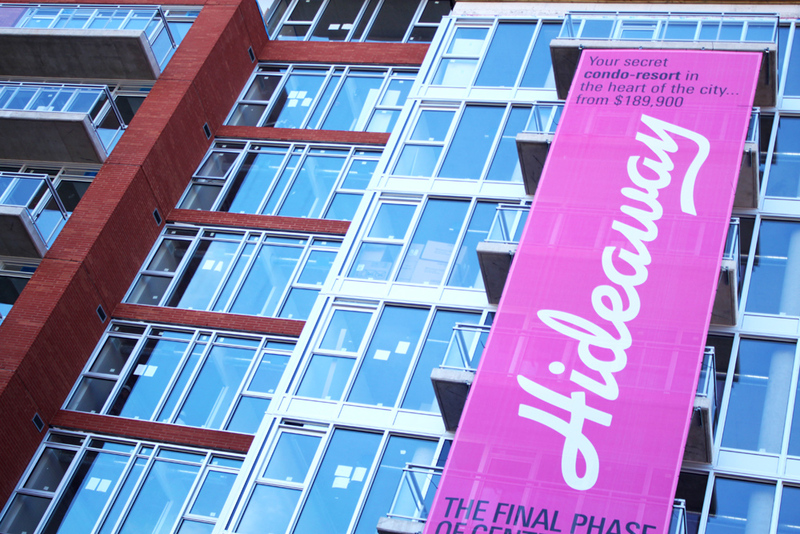 Condo fees will be between $190 – $390 per month and will include all utilities. This price point lends itself well to suiting the needs of young professionals or government workers looking to purchase an investment, but not able to keep up with the payments or maintenance of a full-sized house. Shared amenities will include an outdoor pool and fitness room for all residents to use, and individual units will include pre-wired phone, cable, and high-speed internet services, as well as multiple Energy Star appliances. This development is also certfied LEED(tm) Silver for its environmentally sustainable design, which includes FSC-certified hardwood flooring, water-conserving toilets, and individual heating/cooling systems. 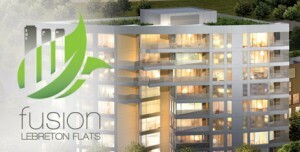 For more information, see http://claridgecondos.com/fusion. Construction on the new One3One development in Wellington Village began in July 2011 by Domicile. It is located very close to all of Hintonburg’s unique attractions, including the Parkdale Market, and the trendy shops and atmosphere the area is known for. It is right by the Transitway, and close to downtown. Its proximity to the O-Train also makes this a good choice for those going to school and/or working at Carleton University, and the hip, laid-back vibe of Hintonburg offers many additional attractions for young grad students or professors. Units in One3One are priced between $268,100 for a studio and $409,000 for a large two-bedroom. Since the area of Hintonburg is still expanding and flourishing, purchasing property in the area can be considered a worthy investment in exchange for the atmosphere, attractions, and proximity of the community. Included in the complex will be multiple shared facilities (fitness and yoga rooms, rooftop terrace, etc. 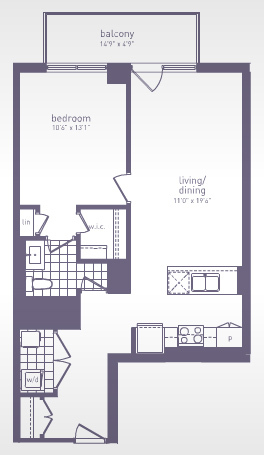 ), and Energy Star appliances will be located in each unit. One3One is also a LEED(tm) certified candidate building, and it will meet those environmental sustainability standards through its building design and highly efficient heating/cooling system. For more information, see http://www.one3one.ca. Thinking of Living in Quebec? Ottawa is ideally positioned on the Ontario-Quebec border, offering a much broader choice of areas in which to live to those working in Ottawa. Gatineau/Hull property prices are slightly cheaper , and as such, are appealing for those who are on more of a budget. As well, for those who feel more at home in a primarily French-speaking environment, Gatineau/Hull is a great location to live while working in Ottawa. There are a few things to keep in mind though, when thinking of buying a property on the Quebec side of the river. Firstly, transportation into Ottawa will naturally take more time, no matter which method one uses. The second item to consider is that since it is a different province altogether, homebuyers will be subject to Quebec’s income tax, property tax, daycare, and healthcare differences . Some examples of condominium developments in Quebec are the Domaine Lorrain (Gatineau) and Condos du Plateau (Hull) projects by Brigil. 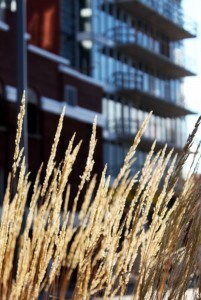 Condos are a very viable alternative to purchasing a full-sized home as a first-time home buyer. They provide a stepping point between renting and owning a traditional home– maintenance and utilities are taken care of, and the included amenities and features (common spaces, appliances, etc.) provide a distinct advantage over starting from scratch in a house. Owning a condo also does not cost as much, either in the short-term or long-term, as owning a house, and as such is very appealing to the groups of young professionals and empty-nesters alike who are looking for convenience and simpler living. What are your thoughts on condominiums? Would you consider buying one as your first home? If you have ever bought and/or lived in one, what were your experiences? Let us know in the comments!